Styled with caitlin jogger . Treat yourself with the nothing-like-it softness of 100% cashmere (bonus: it's machine washable). The simple silhouette flatters while a deep-V neckline shows some skin. Hits waistband of highwaisted pants/jeans. Not oversize, slightly cropped but the fit isn't snug - roomy/boxy. V neck isnt too deep. Beautiful and so soft--my new favorite sweater! 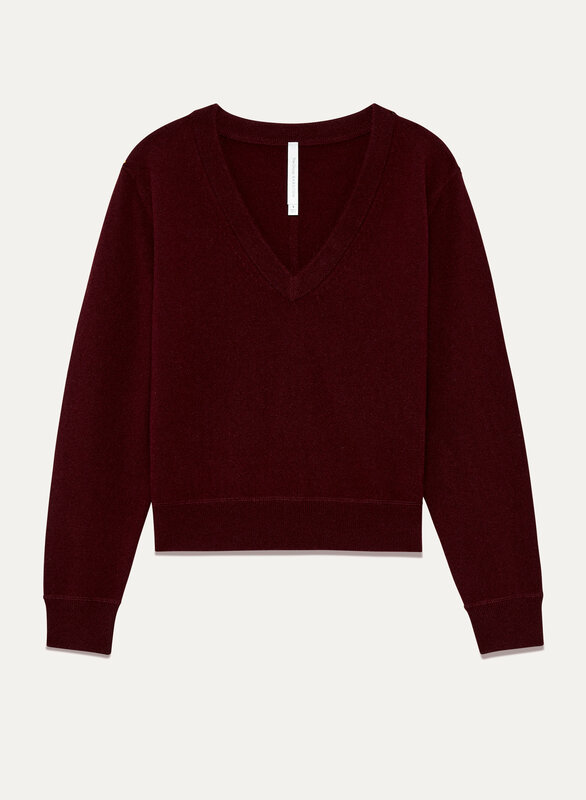 I usually find cashmere in a garment itchy against my skin, but this sweater doesn't. I like the length too--not to short, not too long.